Need something to spice up your Rocket League play? Want the chance to earn additional rewards from your Rocket Pass? Completing the newly added weekly challenges will be a great way to do both. By completing specific actions in games you'll have the chance to move up the ranks of your Rocket Pass faster than normal, giving you access to greater premium rewards at the end of the pass period. Six new challenges will be added every week. Three of those will be accessible to all players, including those who haven't purchased the Rocket Pass. Those that do, however, will have access to all of them. Examples of possible challenges include scoring a certain number of goals, or completing a certain number of saves, or assists. Play ten matches with a particular car, or with a particular topper on your chosen vehicle. None of these challenges will be completable in ranked play, to discourage gamers from focusing on trying to complete their challenges rather than playing to win. Instead you'll need to play casual games to complete them, giving players the opportunity to not only earn their rewards, but to take part in actions that may not otherwise be their go to. If you're more of a striker, you may end up practising goalkeeping a bit more often and vice versa. 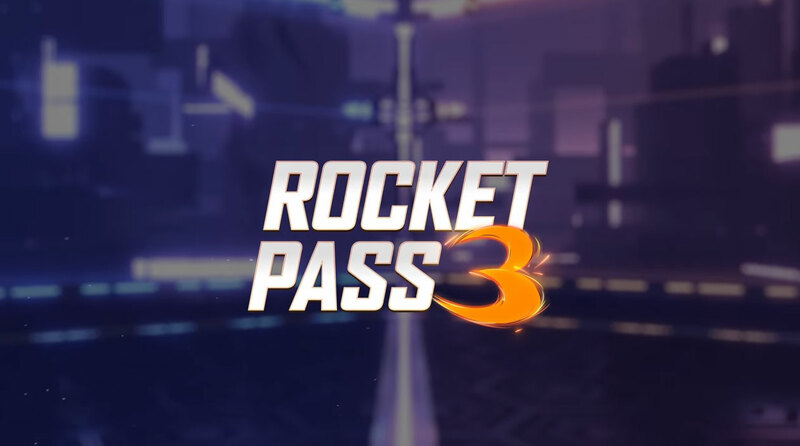 The new Rocket Pass is set to run from April 17 to June 29. All challenges will be updated on a weekly basis, but rewards will only be given out at the end of the pass period. You can look at a list of all the rewards on the official Rocket Pass 3 site.